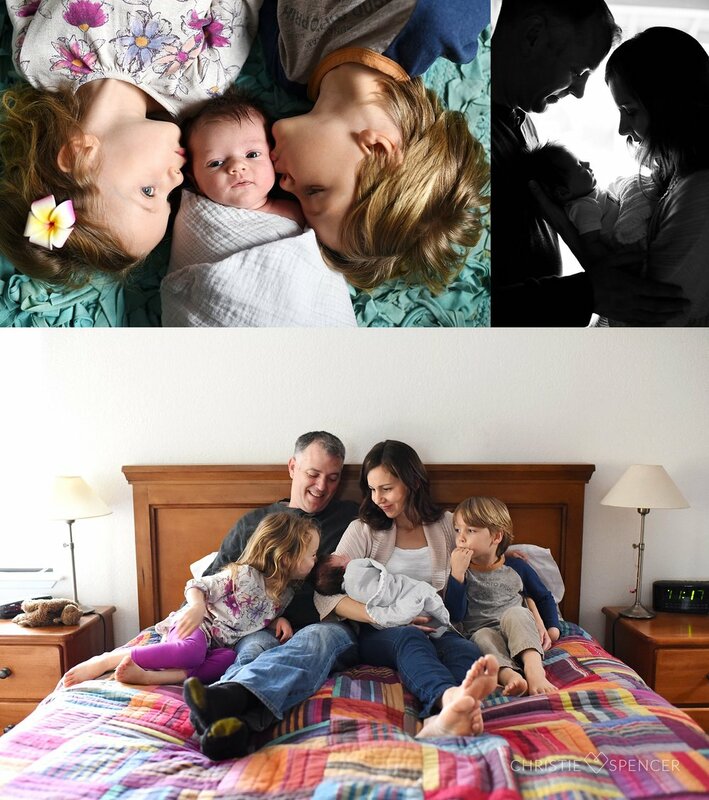 If you want your own family captured in this way, let's chat! I was lucky enough to come and spend the morning with little Millie and her family. 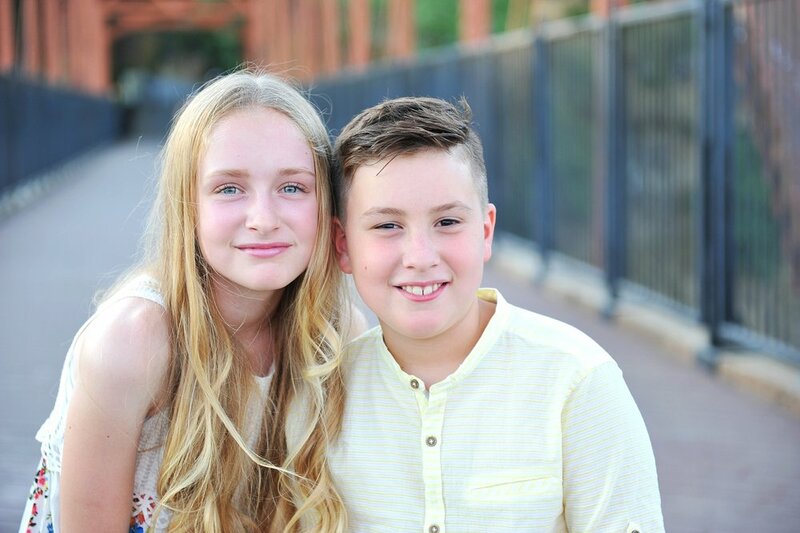 Many years ago I was on hand to photograph her older siblings, so it was so fun to be able to come back and see them as big brother and sister this time around. I had a great time listening to the running commentary from the older kids and seeing how this group is coming together as a family of five. It may have been cold and rainy outside, but inside was cozy and snuggly and full of love. I'm so glad I could document those early moments so you have them forever. 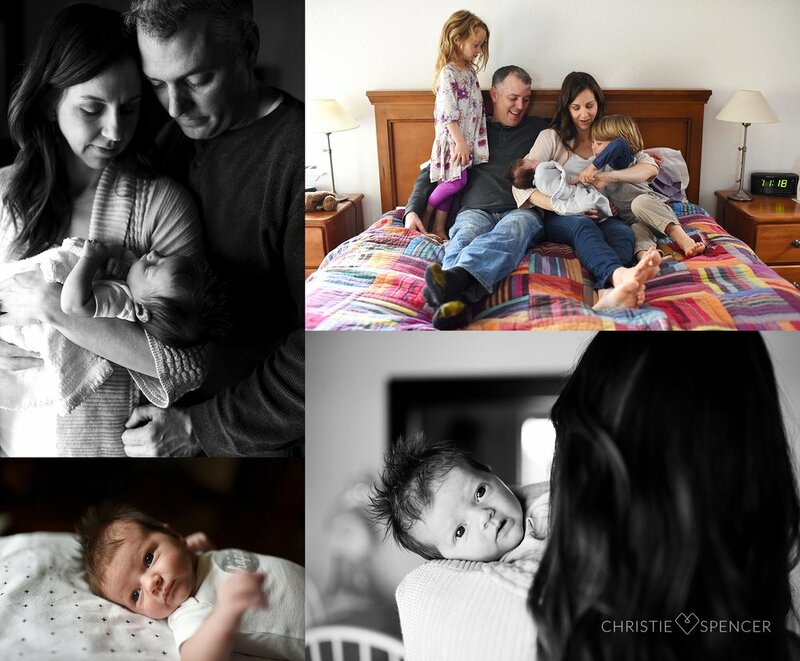 Let me capture your family in this same way... contact me to talk about a session! I give you permission to embrace silly. To put your phone away and concentrate on your family completely. To get dressed up. And wade right into the river anyway. To throw rules out the window, just for the next hour. Magic hour is my favorite. I couldn't decide if I liked this image better in black + white or color, so I'm putting both in. What's one more? I love how she is looking at her Mama. On my getting to know you questionnaire, Mom wanted to remember how happy her family is and how much they love each other. I hope when they look back on these images, they will always remember this warm summer day at the river, and they feel this love. Want your own session like this? Contact me so we can set something up! With a son heading off to college in a few weeks, I'm feeling especially nostalgic and started looking through my archives of first day of school photos. Here are some from 10 years ago, when these two were heading to Kindergarten and third grade. I love seeing that my 6'1" son doesn't even come up to the peephole in these, and that my daughter chose a ladybug lunchbox. With the first day of school right around the corner for some of us, I thought I’d post just a few tips for getting great photos of your kids before they head off to start another year. You don’t need a fancy camera - your smartphone is great! Just make sure you capture that first day. In fact, if you use your smartphone, make sure you get a little video, too. You can stitch it into your 1 Second Everyday app later. scope out areas ahead of time. Time is always short on the first morning of school, so look for a suitable spot for photos a day or two before the first day madness. Find a spot where your child isn’t squinting. Full shade works well. Try turning in different directions until you find the one where your child’s eyes shine. I still remember my Holly Hobbie metal lunchbox with the thermos I had in 4th grade… it will be fun for the kids to look back and see what shoes, backpack or lunchbox they picked that year so make sure to capture those details in some of your shots. Find a place to take a photo that shows scale. I like using the front door of my house, so every year it’s easy to see how much taller everyone has gotten. You can use a tree, the sign out front of the school, etc. in addition to a full body shot that shows scale, make sure to get a close up that shows those cute missing teeth/braces/freckles/etc.! capture the journey to school. Do your kids walk? Take the bus? Ride a carpool? Whatever it is, a photo of that process will be fun for them (and you) to look back on in future years. Especially if it involves your older brother walking you to his school for the first time and taking you by the hand. consider getting in the frame. I am guilty of not doing this myself many years, but consider hopping in a photo or two with your kiddos. Your future selves will thank you. If you want my whole take getting in the picture, read this post here. I don’t know about you, but I’m feeling like time seems to pass more quickly every year. One minute I had a little baby boy and now suddenly he’s getting ready to graduate from high school. I just wish I could stop time! I can’t stop it, but moments can be frozen with photography. I can see him with his cute little blond curls and knuckle dimples anytime even though now he’s 6’2”. 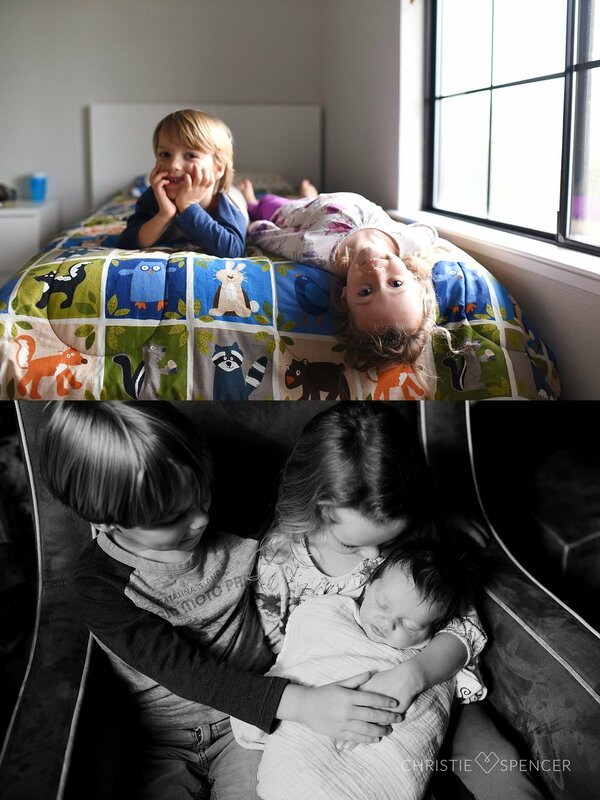 Once you have these images you can revisit your family at these stages again and again. Your children will never be this young again. Your family will never be exactly the way they are today. The time to capture now is now. People tell me they’re too busy to book a session. They want to wait until things slow down a bit. Newsflash – life doesn’t get less busy. You may be knee deep in diaper changes and feedings now, but later it’ll be carpools, homework and soccer practices. The stages change, but life is always going to be full. We can always find time for things that are important to us; and this should be one of them. Your future self thanks you. 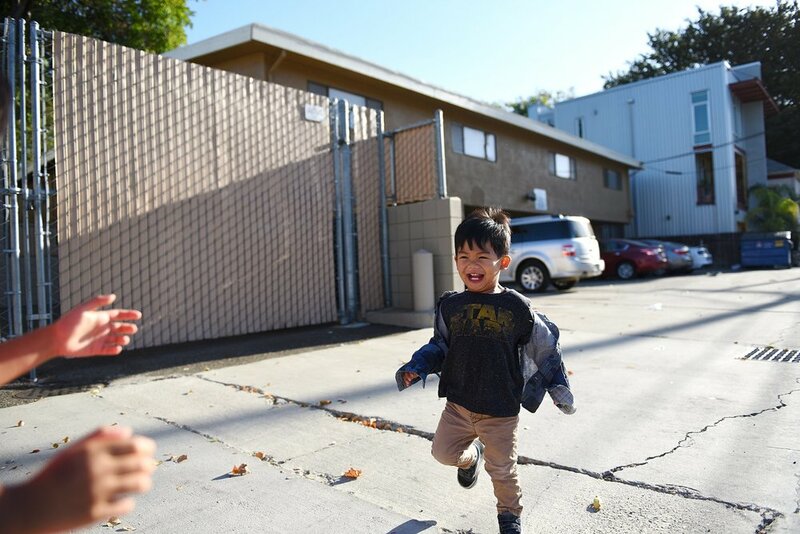 In so many cases, one parent is the family photographer – diligently capturing those soccer games and birthday parties – but as a result not in any photographs. Your children want photographs of you and with you, and you owe it to them to do that. If you don’t want to capture yourself as you currently look in photos, what are your actions teaching your children? Are you saying that you are only worthy of remembering if you meet some sort of ideal criteria? We are all works in progress, and the fact that we are here on the planet and have people we love and love us is reason enough to get in front of the lens. And, not that I don’t have confidence in your weight loss goals, but what if you never lose that weight? You’ll live out your life with no photos of you for your family to cherish one you’re gone. So, listen…get photos taken now. And next year. And the year after that. Sometimes you might be heavier. Sometimes you might be thinner. Your family doesn’t care what you look like. They love you the way you love them. And they deserve to see that love in photographs. Hopefully you’ll have many, many years of family memories ahead of you. But none of us knows that for sure. And if something were to happen to you or one of your family members, the only thing people have to turn to to remember are the photos. 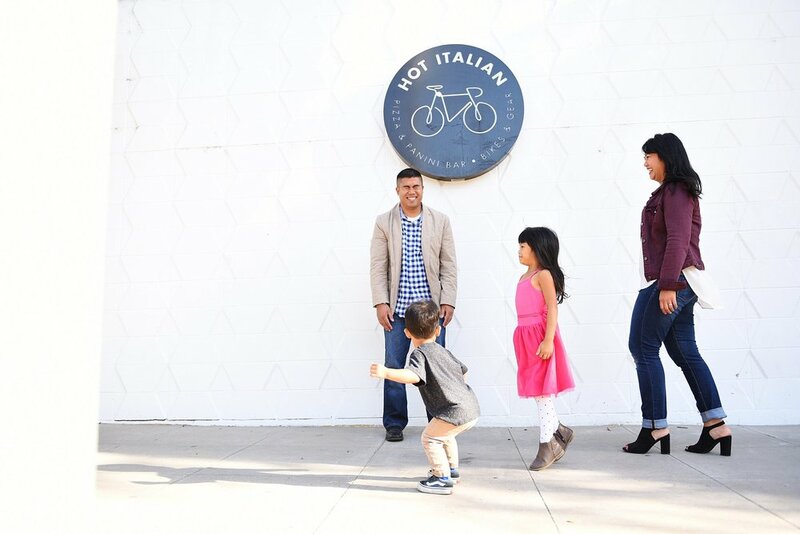 People (most often dads) dread the shoot as something that is going to be awkward and tedious. Maybe they’re scarred from their own family photo memories (in my house we got dressed up in scratchy clothes and trooped down to the local Olan Mills to pose stiffly in front of the fake backdrops and rest our hands on those weird carpeted little props – remember those?) This scene couldn’t be farther from a Christie Spencer Photography shoot! My everyday magic sessions consist of a family doing something fun together – be it making cookies and playing tickle fight on the couch to heading out into a field and jumping off logs and picking wildflowers. This concentrated time just being a family and paying 100% attention to one another doesn’t happen very often in our busy, multitasking lives. We are often rushing from one thing to another, maybe checking our phones as we interact with our kids. More than once it’s been reported back to me that kids say the shoot was the “best day ever” and I think it’s because the kids just really love that concentrated quality time with their parents. I'd love to capture these memories for you. Let's talk and plan a shoot for your family. I have all kinds of sessions that I've never shared here so I'm planning to roll them out and relive them all again! 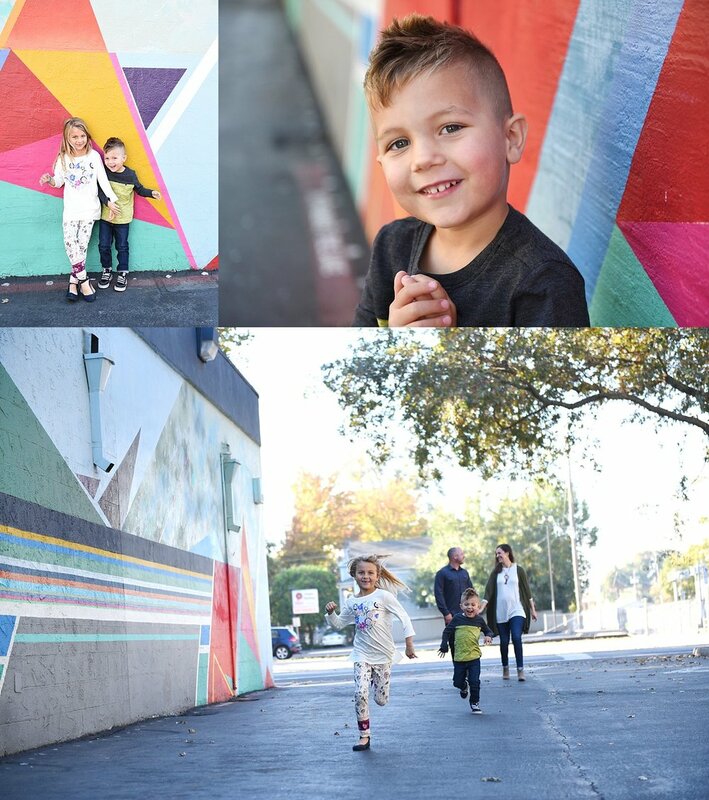 This family's session was especially fun because this is a repeat family. It's always such an honor to get to capture families through the years. I love seeing how big the kids have gotten and how the family dynamic changes as the kids get older. We booked the session for my favorite time to shoot: magic hour – that hour right before sunset when the light is golden and beautiful. The love they have for one another is so apparent. This first image is my favorite kind of family portrait – I love the way Dad and his daughter are embracing, the way Mom is simultaneously adjusting her daughter's clothes and enjoying her son's goofiness, the golden light... it's all magic. Sometimes people tell me they don't think their family is interesting enough for photos. I promise – your family just loving each other and being themselves will be plenty interesting. There was a lot of jumping and running and tickling and general fun to be had during our time together and the scenery of tall grass and large oaks was a beautiful backdrop for it all. After we were finished and walking back to the car this glorious magic hour light gave me this image with their long shadows behind them. This is why I never put my camera away even when we're done! You just never know when an image is going to appear. 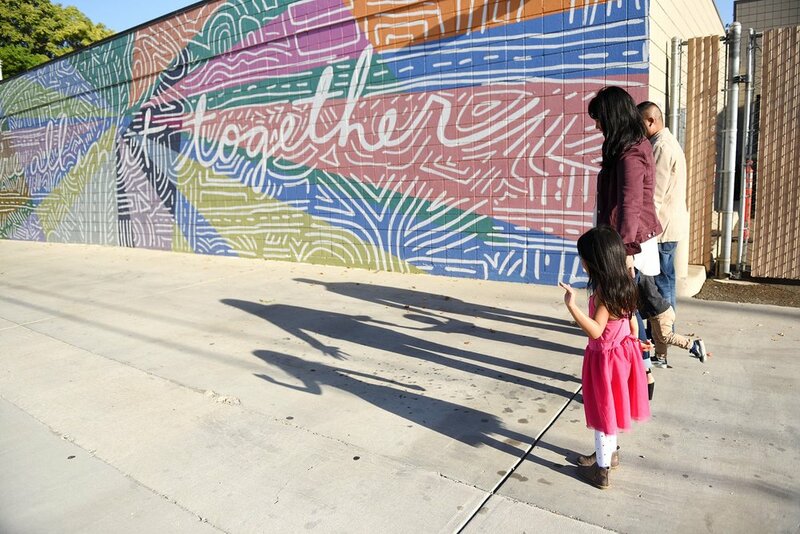 If you're looking to capture images like this of your family, send me a message. 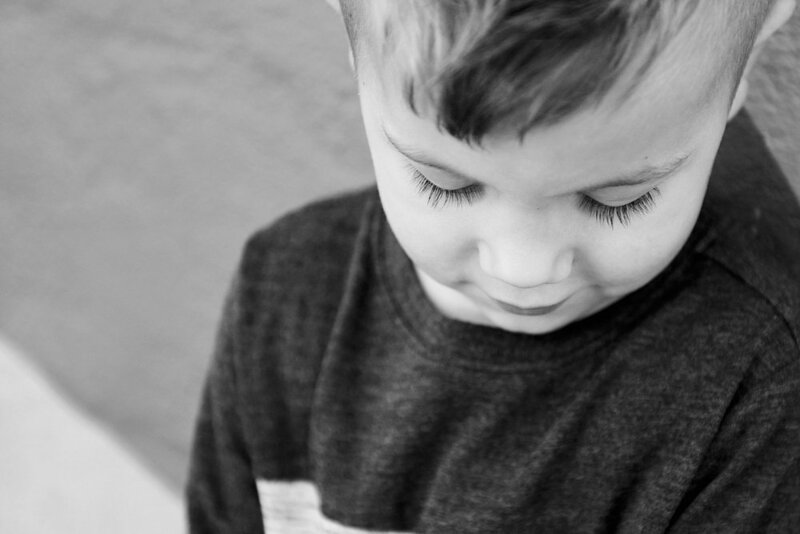 I'd love to design a session that's just right for your family. When I moved back to California from England in fourth grade, I remember the cover of my history textbook had a photo showing "the golden hills of California" on it and that photo looked just like the hills surrounding my neighborhood. I thought those hills, dotted with oak trees and complemented by a cloudless blue sky were the prettiest things I'd ever seen, maybe because they looked so different from the gray skies and green landscapes I'd been surrounded by in England. I still find this time of year when the grasses have turned golden to be so beautiful and am surprised to hear other people describe them as dead and brown. When the sun shines through the tall stalks, they shimmer and glow and create the most magical light. We were having quite the heatwave when this shoot was scheduled (a high of 106 degrees - ug! ), so we made the decision to switch the shoot to the next morning to take advantage of cooler temperatures. Even so, we were still melting out there and were feeling for the triathletes who were competing just steps away from us. If we were this hot and sweaty from just picking a few flowers and walking through the fields, we could only imagine how they were feeling! This was a super fun session with this family on their amazingly beautiful property. I knew it was going to be a great session when I walked in and their footwear was this cool! This is the second time I've been lucky enough to photograph these boys. They have really grown up in the years since I've seen them...and they've added some pet swans to the family! Last time I photographed just the boys, but this time I was thrilled to capture memories of the whole family. It's so important that parents and their kids and the love they share are captured to remember forever. Having recently lost my stepmom to cancer, every photograph of her is so precious to us. What if something were to happen to you? Do your children have photographic reminders of how much you love them? How you look when you laugh? There is no better time than now to make sure. No one will care that you wanted to lose a few pounds or wanted to grow your hair out first – your loved ones will treasure every last image of you. I'm certain of it. But really... if you haven't captured your family and what you look like now in the last year, it's really time! 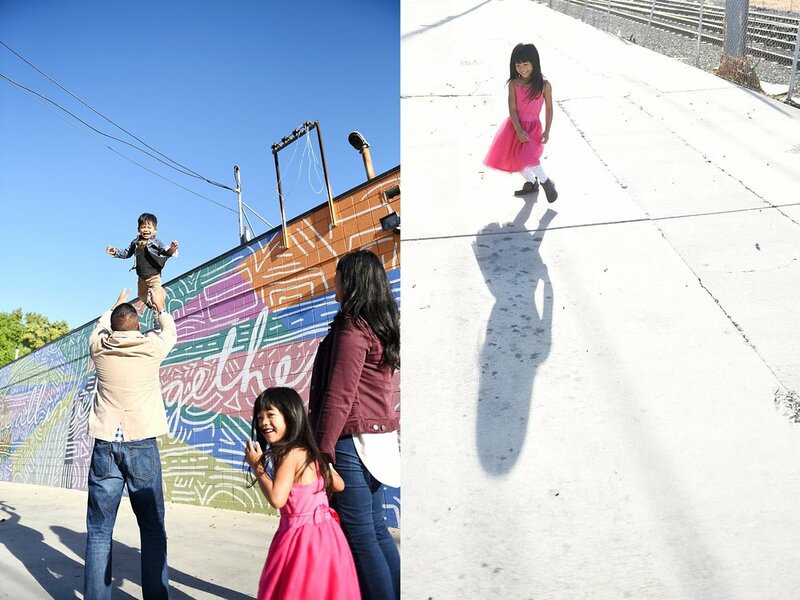 It's a fun way to spend time together and when you see the images of your family's love in photographs, you'll be so glad you did. Let's talk about your perfect family session! I traveled to Washington state last week and photographed this adorable family. They just added their newest member, 10-week old Finnegan. Oh my gosh - if I'd brought my bigger camera bag, I just might have tried to smuggle him out of there with me. As always, the weather here was beautiful (I swear these gloomy weather rumors are a ploy to keep the rest of the country from moving here. I have visited this area during every season of the year and had amazing weather every time. Coincidence? Hmmmm....) This family's yard is like a park and was so green and lush. Due to the drought in California, we had greenery like this for about a nanosecond this year. I'm not sure who had more energy... the puppy or the cute little guy you see behind him! There's so much love and energy in this family and I had such a great time capturing it for them. If anyone else is interested in having me come to your area to photograph your family, just drop me a line! Just a little sneak peek of the photos I'm editing today... This session could not have been more fun! 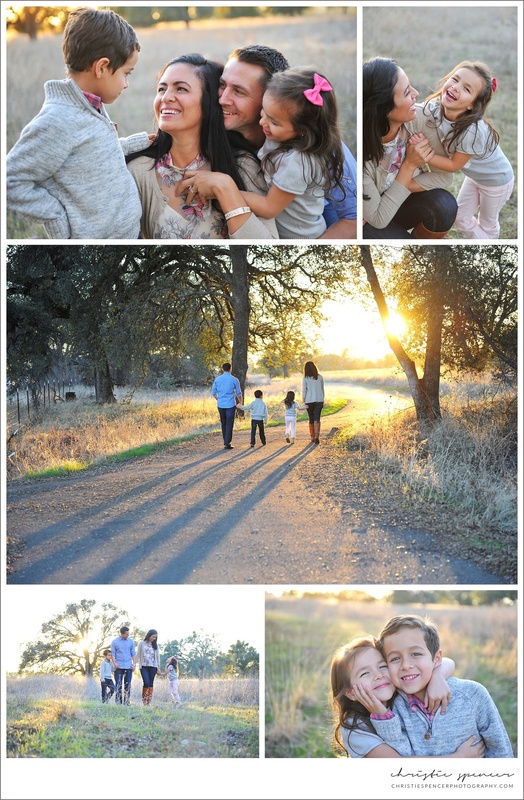 Golden light, beautiful wildflowers, and a fantastic family sharing a magical evening together. We had some mosquitos try to dampen our fun but we were prepared with bug spray. I didn't think to spray any on my face though, and after the session I realized that anywhere my face wasn't covered by my camera was fair game for the attack. But that's OK – to capture these images, a forehead full of bug bites was completely worth it. Completely. As you can see from these images, this time of year is pretty amazing for an outdoor session. Contact me about scheduling your own session while we still have this lush greenery!